We live in a world ruled by Social Media. The currency of likes, hearts and thumbs up is dominating the online sphere and we strive everyday for people’s validation. This is today’s game and we have to play by the rules in order to be successful and see our business prosper. Instead of being overwhelmed by all of this we have to embrace it. Living in the social media era is so powerful and can bring huge results to any business if it is done right. Your brand will be able to stand out from the competition with a strong and consistent social media presence showcasing authority. The correct tone of voice and content shared will have to prove that your brand is the expert on the subject matter produced or provided. Customer experience and consumer journey should be of priority and your social media strategy should be strict and consistent in order to portray the right brand image to your audience. There are so many “have to’s” and the “how to’s” in order to be consistent with your social media branding but first we need to mention a few points that will help all business owners understand what branding is a little bit better. The first mistake that many people make is to refer to their branding as their logo. A business logo is only part of the branding mix. 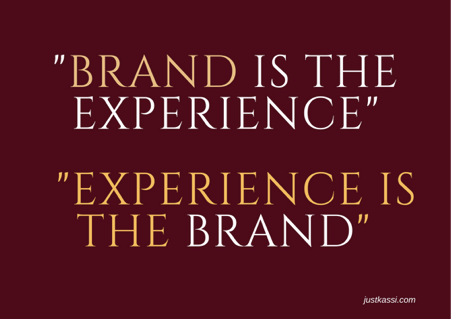 Although it is important, it is not enough to create a branding experience, which is what you should be striving for. Branding should consist of your tone of voice, colours, type font, and in general your brand’s aesthetic that will encompass your brand’s look and feel. Apart from the design of your brand you also have to consider the way you communicate with your customers, the content you produce and the brand’s vision. A successful branding strategy should be comprehensive and your customers should feel it, understand it and be part of it. Making a good impression to your customers is always important for your brand especially on social media. Sometimes it can be hard to be consistent but my 5 point cheat sheet will help you to never fall off the branding consistency wagon. To help marketers to communicate consistently across all social channels it is wise to create a brand persona. By knowing your persona i.e. your audience, you know exactly how to communicate to them and how you want them to feel. Every successful brand has created their brand persona making their brand communication easier and therefore more likely to be consistent. 2. Know which social media channels are important for your brand. It is generally advised that your brand is present on all social media channels and especially the core ones such as Facebook, Instagram, Twitter and YouTube. However, if you feel that one of these channels may not be useful or benefit your brand, then you can decide not to use it. It is more important to know which channels to opt out of instead of creating social media accounts that you will not be using and in turn you will not be consistent in updating. 3. Know the difference between your social media channels. Whatever social media channels you choose to use for your brand, it is important to know the language that each channel needs and how often you should post. Every channel is advised to have separate and unique content as their purpose is different and should be treated this way. For example LinkedIn is suitable for business content so it is best to keep all communication to this type. Below you can see how H&M uses their LinkedIn and Facebook page. The content shared is different as the audience on each channel is looking for different information. Despite that, they are consistent with regards to their posts schedule and type of content shared on each channel. 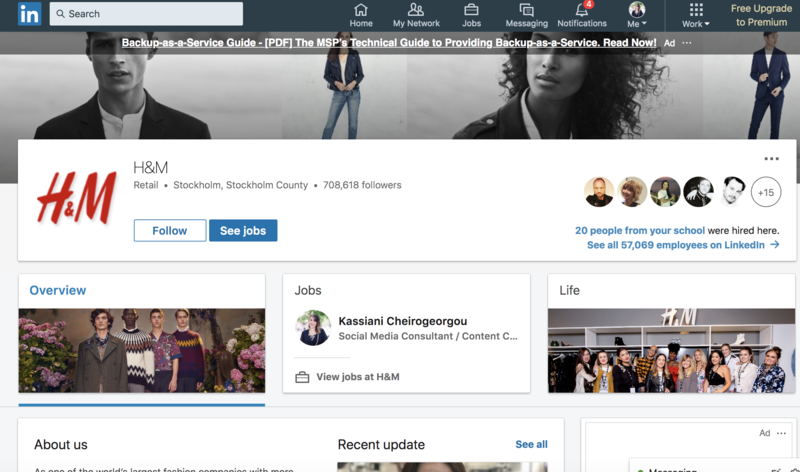 Facebook’s content is more commercial, promoting the clothing range, accessories etc., whereas on LinkedIn you can find content about the business and their employees. 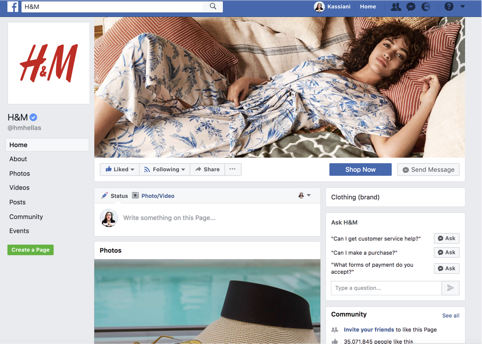 The fact that different content is shared on these two social media networks does not mean that H&M’s branding is inconsistent. It is important to maintain the same layout, colours, type-font and tone of voice (language) on your social media channels. To make it easier for yourselves to be consistent it is important to familiarise yourself with different social media tools with regards to layout and functionality. Apart from that it is good to watch main players that do it right for example Google. Google is the world’s largest search engine as well as a social network. 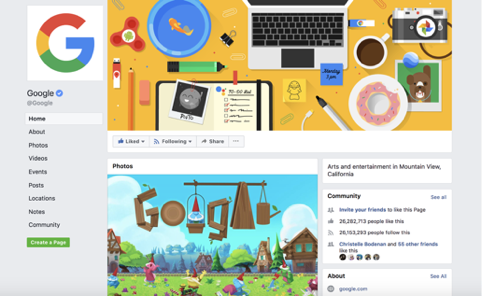 It is extremely important that their social media presence is strong and follows their brand guidelines and values on all available platforms. 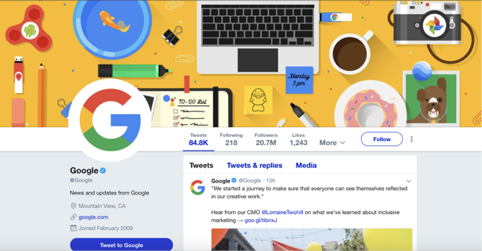 Google’s graphics and design serves the brand’s colours well, showing the fun and community element that the business has been built on. Although what you share is important, when you share it is crucial too. Being consistent with your posting times will help educate your audience on when to expect your posts and news. Trial and error is the best way to test when your audience is most active. Analyzing your social analytics on each network will also help you to distinguish when is the best time to schedule your posts. Following the above 5 tips will help and guide you to be consistent with your branding and messaging on social media. 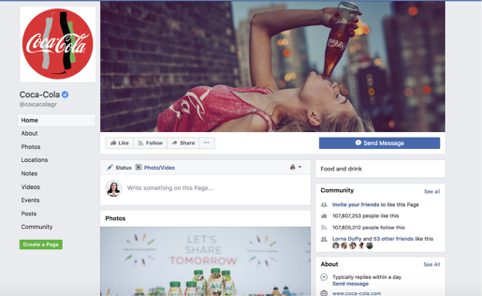 For a small business to understand social media branding consistency, it is beneficial to refer to larger organisations for best practice examples. Companies such as Google, H&M as mentioned above as well as Coca Cola are some best practice examples to recognize. Coca Cola is surely a brand to get inspired from. Their branding is strong and focuses on the consumer’s personal experience with their drink. The strong visuals and photography aesthetics is part of their social media communications and is showcased on all their social media channels. From the above we see that Coca Cola is consistent by making the consumer their hero and equally important as their drink. 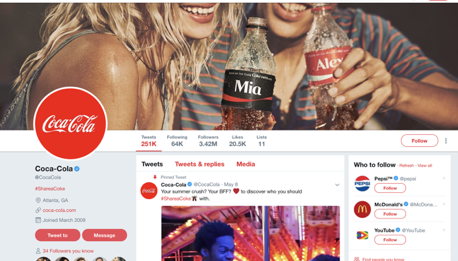 A celebratory feel is shared all over their social media giving the feeling that the moment your drink your Coke is the most important part of your day. The content shared follows the same idea. Kassiani Cheirogergou is a Social Media Specialist and Content Writer working with Design Wizard. She has over 8 years experience in Marketing Communications and Project Management working on online and offline marketing projects and is passionate about helping business to grow online. Design Wizard is an online graphic design tool that enables users to create and share brilliant visual content within minutes in a fun and easy way.